This post discusses workflow strategies that are very ADHD friendly, devised from my own research into managing my adult ADHD. If you don’t have ADHD, you should stick around and read anyway. It can be said that the non-linear thinking of the ADHD brain is well suited at enhancing workflow due to the structures and systems we tend to put into place for ourselves that simplify our lives. While those of us with ADHD may do this out of necessity, many of the strategies can be of benefit to the linear brained non-ADHD crowd who are looking for ways to simplify their workflow. Feel free to discuss some ideas you have that may expand on the concepts of Automating, Consolidating, and Delegating in the comments below. Before we begin, a quick shoutout to Alan Brown at ADD Crusher. I’ve been following his curriculum in an attempt to manage my own ADHD, and I have to say that it is both well thought out and had immediate impacts on my ability to focus and manage my ADHD symptoms. 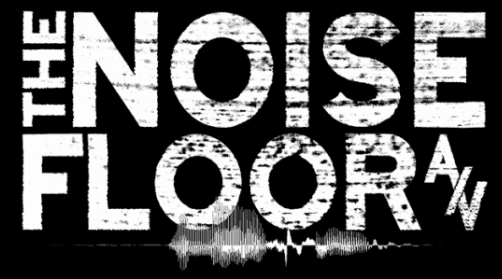 Alan has been gracious enough to give The Noise Floor readers a discount of 10% off of the course, just use the coupon code: NOISE10. More on that at the bottom. I bring up ADD Crusher here because the concepts of Automating, Consolidating, and Delegating are key principles discussed in one of his 10 ways to crush your ADHD. While listening to the audio companion for the 6th time as I was sweating it out at the gym, it dawned on me how these principles can be applied to the workflow of an audio engineer who is looking to streamline their workflow and stay in the creative zone without being pulled away by the boring stuff (session prep, building a session from scratch every time, etc). So let’s dive in. In this post, we’ll discuss Automation. I’m not talking about drawing automation envelopes inside of your DAW. That’s a creative move that should be done with care while you work to bring the best out of your mix. Instead, I’m talking about automating mundane and repetitive tasks. The most obvious form of automating our workflow is to create a mix template. It can be tough if you’ve never worked from a template, but the benefits can be immediate and obvious. A mix template places all of the tools you typically reach for at your fingertips while instantly recalling the way you tend to route your audio to various channels. Instead of starting from scratch every session, opening the things you use the most one at a time and building your template from memory, you can instead import your audio into your template and get to work with everything you need already mapped and loaded. If you have ADHD, the idea of spending the time building a mix template can seem tedious and wasteful. It’s hard for us to find motivating fuel in a task like this, even though we know it’ll make our lives easier if we did it. Instead, we chase the more immediately interesting and stimulating task. This may be diving into your mix head first without a plan of attack. A DAW is a highly stimulating and fun tool, and it can be easy to get lost for hours in the possibilities it holds for us. This is why it’s important for us to work with intention, and using a mix template keeps that goal in check. The reason building a template can be a real pain for us is simple. You’re not mixing anything, and you have to predict what you’d most likely use in a given scenario. This can lead to overwhelm as you navigate a thousand possibilities in the hunt for the perfect template that can address any possible scenario. If we get micro-focused on the small details, which is common for those of us with ADHD, we’re not attacking the big picture. So let me stop you before you get overwhelmed and lost in the sea of plugins in your folder. There’s no way you can build the perfect template. Don’t even try. We’re not seeking perfection, we’re seeking functional. Our template isn’t a set-and-forget thing, but is elastic and dynamic. It should change and grow with you as you grow your skill set and try new things. It should be updated as regularly as is reasonable, depending on your level of focus and working memory skills. The first mistake we may make is building a template from the ground up, relying on our memory of what we tend to reach for to guide us on how to set it up. There’s a far simpler way. Grab a notebook, and open your last 5 mixes. Look at what you did. The plugin chains you used, the effects sends you built, the routing, all of it. THAT’S what to put in your template, because THAT’S what you’re actually using! Write that down for reference, then create a new copy of these sessions. Clear out the song specific stuff, things like audio and midi and markers and automation. Zero out the faders. Then save what’s left as your new template. Do this for all 5 of your last 5 mix sessions, and save everything you did into one template that gives you quick access to everything you’ve used recently. This puts the tools you’re actually likely to use at your fingertips so you can spend less time building plugin chains and more time getting actual meaningful work done. Remember, time is money. We have poor working memory. If I don’t save anything new I’ve added to my template at the end of each session, I know I’ll forget to add it later. Then when I want to reach for that awesome new thing I did on that mix 4 songs back, I’ll need to interrupt my work to go find how I did that thing and add it to the session I’m working on. This takes us out of being creative, throwing us into the analytical mindset, and causing us to get distracted from the task at hand. That leads to us going down the rabbit hole of endless possibilities that ends with us spending large chunks of time exploring other ways of doing this thing you’re reaching for. If it had been saved into my template, it would’ve been there ready to implement within 3 seconds, and I wouldn’t have missed a beat. I likely wouldn’t have become sidetracked by the impulse to see if another tool could give a better result, which wastes my time and my clients time. If you build the habit of updating it every time something new is added, your template will remain fresh and current so you can focus on getting to work instead of mulling around plugin menus and wasting your mental energy on things you don’t need to do over and over. You can always schedule time to explore new options, but when you’re mixing is not the right time to go down that path. I started with mix templates because they are the most obvious. However, there are 3rd party tools that help automate certain tasks for us as well. • Tired of calibrating your audio before mixing to ensure proper gain structure for your hybrid setup? Try Hornet’s Track Utility, VU meter, or LU meter plugins. They are extremely affordable and can save you a lot of time when setting up your session. • Tired of drawing vocal automation by hand? Easy solution: Vocal Rider will draw your automation FOR you. • Tired of correcting phase issues by hand? Easy solution: MAutoAlign from Melda Production works in a fraction of the time it takes to correct phase issues by hand, and is also extremely affordable. I now can align an entire drum kit in 10 seconds, which is faster than the more expensive competition. Then there’s the world of customized scripts that can perform tasks automatically for you with the click of a button! Some DAW’s have this functionality built in, and as a REAPER user I must attest that it is a MAJOR timesaver. • I can change the color of my tracks as well as add track icons, by assigning a track color and icon to the track name. Now if I want a brown track with a kick drum icon, allowing my visual and spatial thinking mind to quickly find the kick drum track in my mixer, all I have to do is name the track “Kick”. The color and icon are automatically assigned FOR me, allowing me to skip this tedious organizational task every time I load a session. This is why I rename my tracks before I import them into my session, and I do this every time. • I can set up custom menus that give me push button access to scripts for certain tedious editing tasks. • I can select all audio items in my session and normalize them to a predetermined value with the push of one key command. Instant gain staging that takes 5 seconds, perfect for those working on hybrid or calibrated setups! • The list goes on and is nearly infinite. It’s only limited by your imagination and what your specific workflow needs are. If you don’t use REAPER, and your DAW doesn’t have custom scripts, consider Slate Digital’s “Batch Commander”. This tool will allow you to create custom scripts that accomplish tedious repetitive tasks for you automatically and can be a huge time saver if you’re using a supported DAW. In the next post, we’ll discuss consolidation. This can be confusing, as consolidating audio files is a step we take when exporting tracks. However, this isn’t the type of consolidation I’m referring to. Stay tuned!